Hi, it's time for a new challenge at Catch The Bug and this week is Anything goes! I am using this sweet image called Kidz Birthday Girl Bella, colored with copics and the paper is from Reverse Confetti. 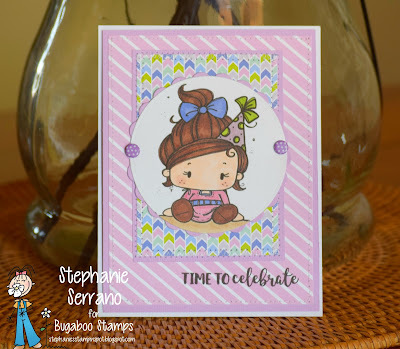 Play along with us for your chance at 4,7 or 10 Digis from Bug-A-Boo Stamps.